ART created in 1999, is a set wholesale and export of oil painting production-oriented enterprises.We are a professional hand painted oil paintings manufacturer from China. We have more than 400 excellent artists to serve you with a huge collection of oil painting designs.In China,we have own oil painting factory,there have set up dozens of specialized studios under the factory.We produce and wholesale all kinds of hand painted oil paintings reproductions, wholesale portrait oil paintings, original oil paintings, Antique oil painting and the other oil paintings types.These oil paintings were made purely by hand by our outstanding painter. All oil paintings with the museum quality are 100% money back guarantee. We have more than 50000 paintings storage. We have many qualified and experience artists. Our artists are good at imitating all kinds of oil painting, they can paint the color, structure and shape very accurately.Our hand painted oil paintings are always high valued and high quality by our customers. Our traditional areas requested by the production of various types of high-quality customer exquisite oil paintings,the oil paintings are pure products from hand-painted. In the oil painting international market, we compare with other oil painting supplier, the price that our oil painting is cheaper. 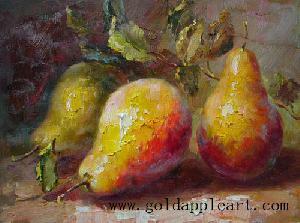 The cheap oil painting with museum quality are produced by hand painted by our artists. In technological innovation field, We will in the international emerging markets to further develop high quality,development low cost and cheap hand painted oil painting. "Changes products, the same quality". It is the goal that we will pursue forever.Our own ability to create confidence in the future. No matter from picture to oil painting ,or from photo to oil painting ,or from your idea to oil painting ,we will do a better job for you.And We will guaranteed that we produce the pure hand painted oil painting for you.